and appeared in the 1963 film Live It Up! 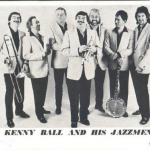 Kenneth Daniel Ball ( 22 May 193 – 7 March 2013) was an English jazz musician, best known as the bandleader, lead trumpet player and vocalist in Kenny Ball and his Jazzmen. Ball was born in Ilford, Essex. At the age of 14 he left school to work as a clerk in an advertising agency, but also started taking trumpet lessons. He began his career as a semi-professional sideman in bands, whilst also working as a salesman and for the advertising agency. He turned professional in 1953 and played the trumpet in bands led by Sid Phillips, Charlie Galbraith, Eric Delaney and Terry Lightfoot before forming his own trad jazz band – Kenny Ball and his Jazzmen – in 1958. His dixieland band was at the forefront of the early 1960s UK jazz revival. In 1961 their recording of Cole Porter’s “Samantha” became a hit, and in March 1962 they reached No. 2 on both the U.S. Billboard Hot 100 chart and the UK Singles Chart, with “Midnight in Moscow”. The record sold over one million copies, earning gold disc status. Tagged Acker Bilk, Alex Welsh, and appeared in the 1963 film Live It Up!, and in March 1962 they reached No. 2 on both the U.S. 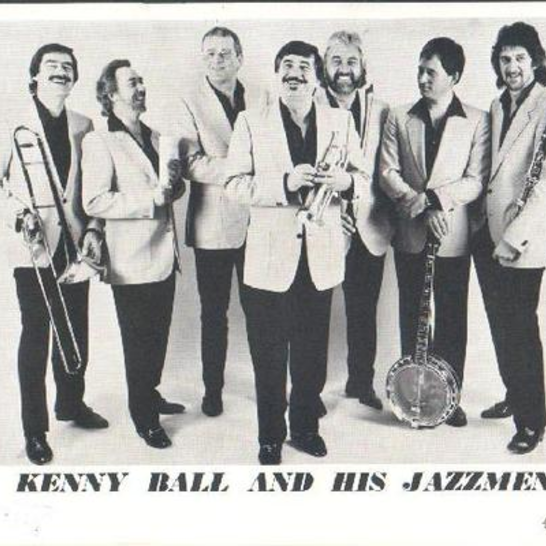 Billboard Hot 100 chart and the UK Singles Chart, Ball became the first British jazzman to become an honorary citizen of New Orleans, Bob Wallis, Bruce Turner, Chris Barber, Diz Disley, featuring Gene Vincent, In January 1963, Ken Colyer, Kenneth Daniel Ball 05/22/1930 – 03/07/2013, Kenny Ball - Music Charts Magazine, Kenny Ball In 1961 their recording of Cole Porter's "Samantha" became a hit, Mick Mulligan and Ball. The same year, Monty Sunshine, Music Charts Magazine News, Music Charts Magazine Obituaries, New Musical Express reported that the biggest trad jazz event to be staged in Britain had taken place at Alexandra Palace. The event included George Melly, with "Midnight in Moscow"